Walia ibex pair resting (Capra walie) Simien Mountains Nationa Park, Ethiopia. Nov 2008. 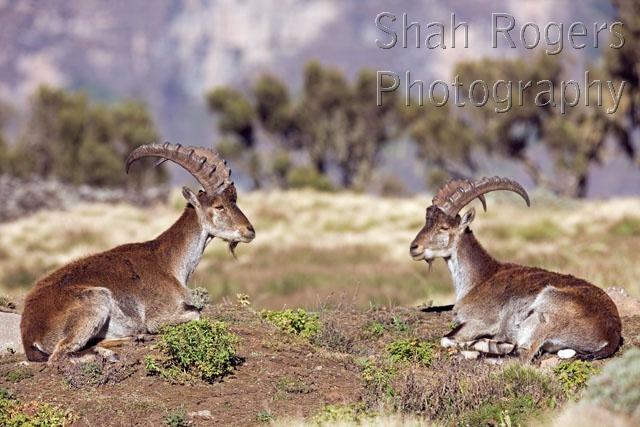 Description: Walia ibex pair resting (Capra walie) Simien Mountains Nationa Park, Ethiopia. Nov 2008. Caption Walia ibex pair resting (Capra walie) Simien Mountains Nationa Park Ethiopia. Nov 2008.